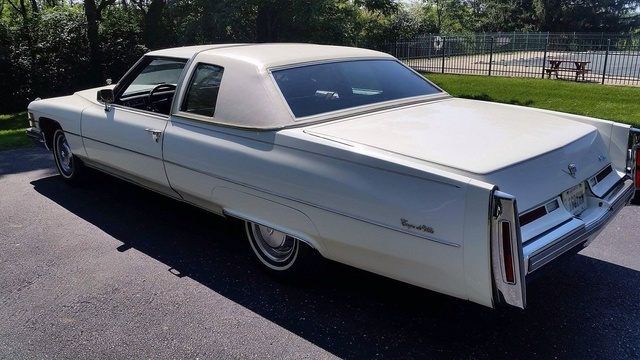 Have you driven a 1974 Cadillac DeVille? 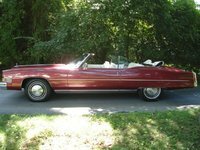 Displaying all 2 1974 Cadillac DeVille reviews. I Love It (but Can't Afford To Drive It) — I love the ride, so smooth!!! I have not driven it since about 1997 though. You would think it would have been faster because of the huge 472 cubic inch engine, but I may not have had it properly tuned at the time! It's A Piece, But I Can't Get Rid Of It. — I love this car. I basically got it for my seventeenth birthday, since it was for sale in Otter Lake and one of my friends was threatening to buy it to put in a demolition derby. The exterior is in shambles, with rust on every panel, but it's spent all its life in the Flint-area, so that's no surprise. The interior, on the other hand, is pretty sweet. It's all original, with the only things going bad being the steering wheel (it's coming apart), some of the electronics aren't working properly (seventies Cadillac), the map light is broken and the seats are a little worn. It runs like you would expect a luxury car from the seventies to run: smooth and sloppy. I've got so many memories attached to this car, that I couldn't ever get rid of it. Many people have suggested taking the interior out of it and putting it into a nicer body, but I can't. I smile every time I drive this car. Pros: Sweet old Detroit iron, rides smooth, a talking point for anyone who sees it. Cons: Rust-tastic, will cost a lot to restore, gas hog.